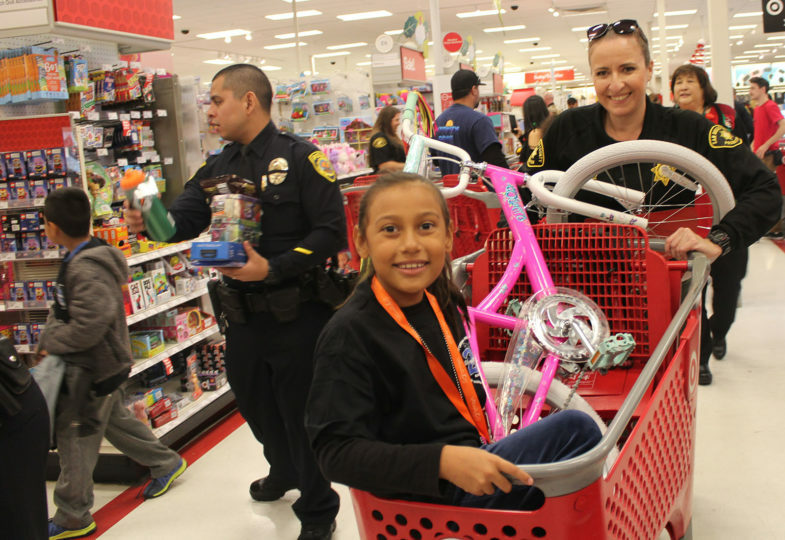 More than 300 children were treated to a shopping spree with local law enforcement. 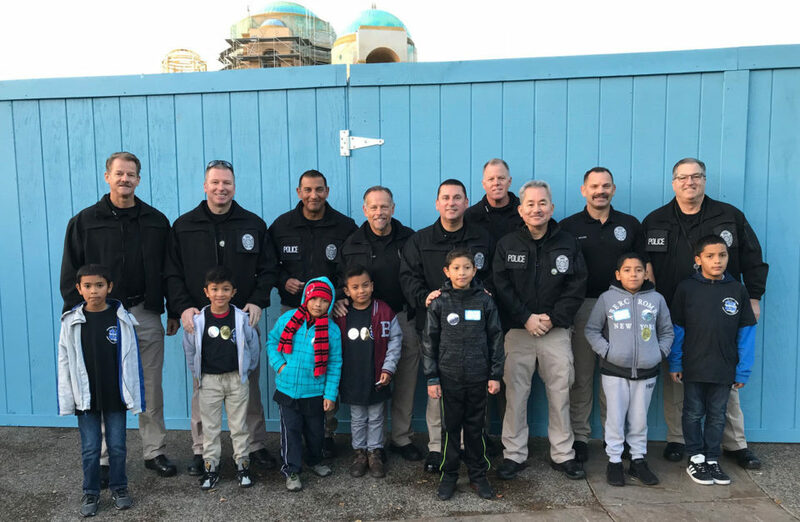 Check out our fun photo lineup from Saturday’s Shop With a Cop, where more than 300 officers teamed up with children and took them to SeaWorld for breakfast and a show and then out for a $150 shopping spree. 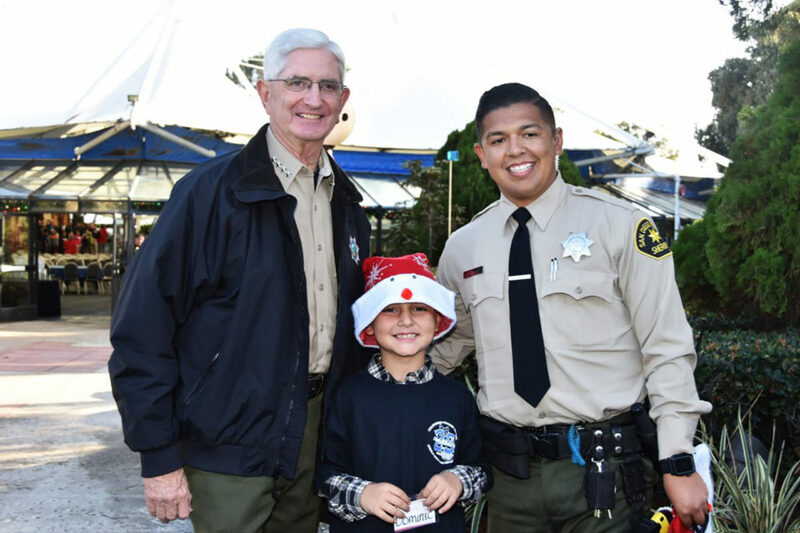 District Attorney investigators each paired up with a child for a special holiday treat. 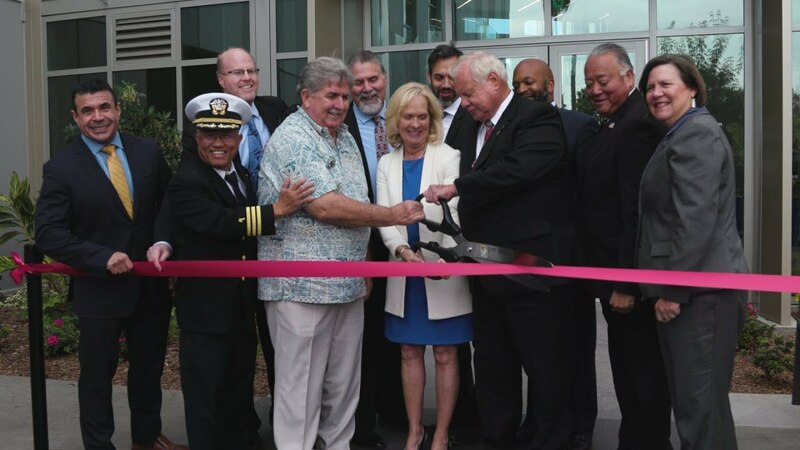 This year’s 25th annual event was coordinated by the California Highway Patrol and Chula Vista Police Department. 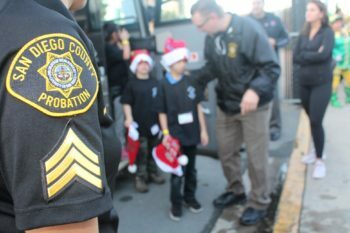 Among the local law enforcement were 53 officers from San Diego County Probation, 29 deputies from San Diego County Sheriff’s Department and 10 officers from the San Diego County District Attorney. 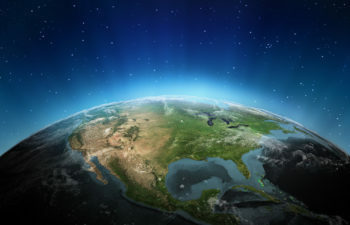 Children are selected by schools to participate. Sheriff Bill Gore stopped by Shop With a Cop to visit with the children. 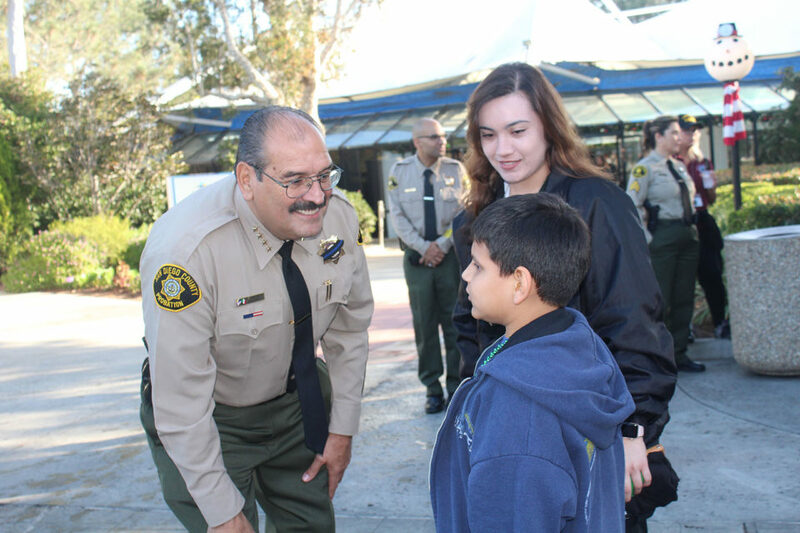 Chief Probation Officer Adolfo Gonzales greets a young boy who was paired up with one of his officers at Sea World. 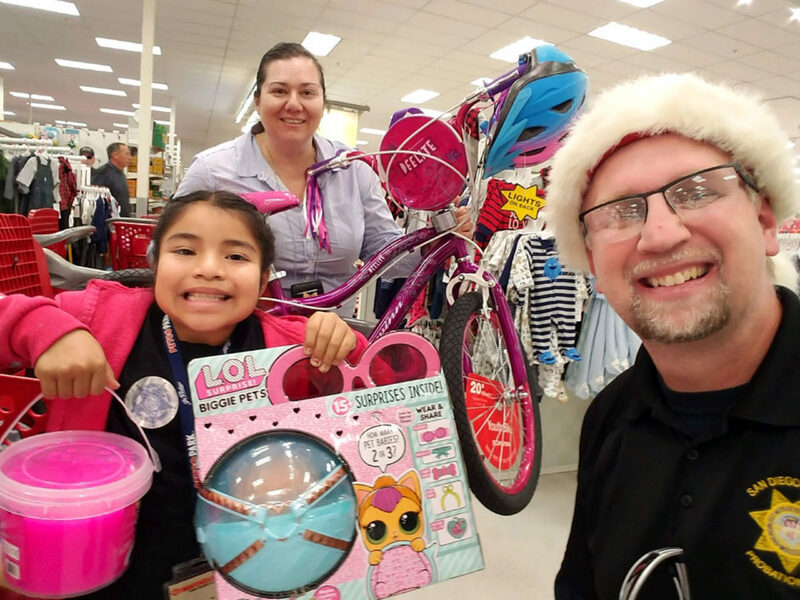 “Shop With a Cop is an extremely humbling event that allows the officers to connect with a child from their community and share with them the joys of the holiday season,” said Josh Nelson of the CHP. 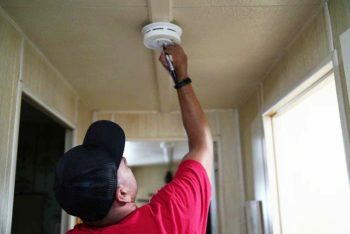 Funds for the event are raised by law enforcement agencies and an anonymous donor. 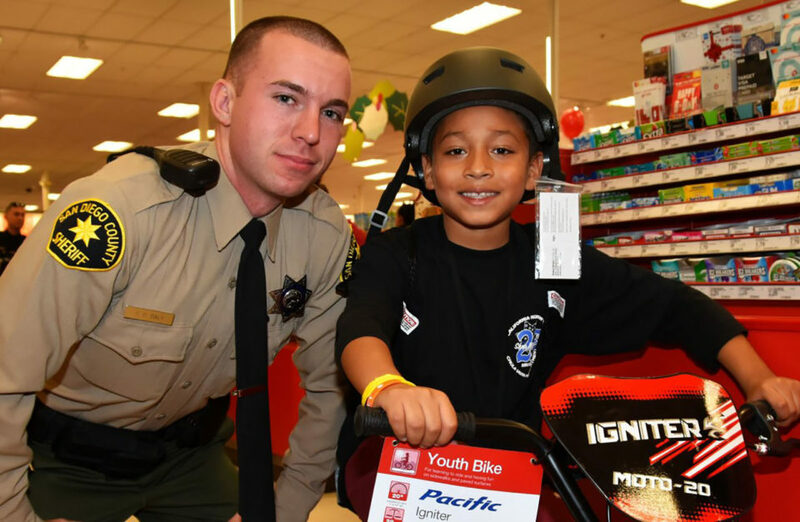 A Sheriff’s deputy helped a boy select his new bicycle courtesy of Shop With a Cop. 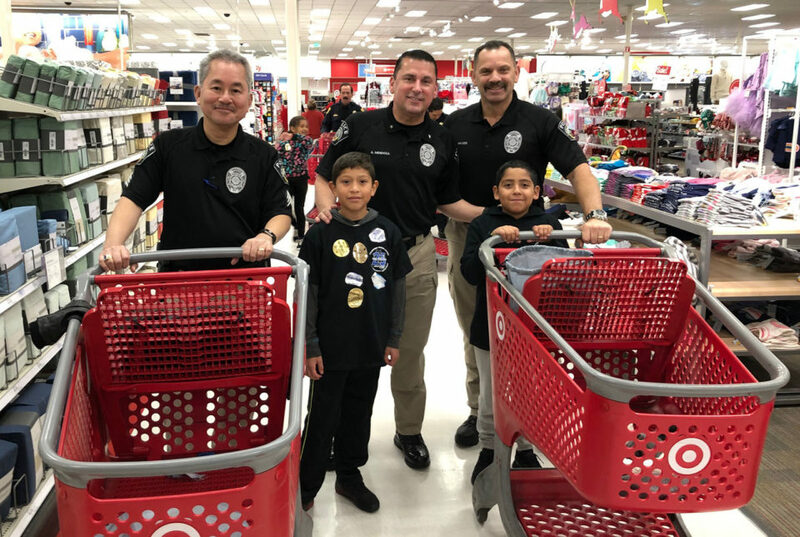 District Attorney investigators and their child partners are ready to hit the aisles. 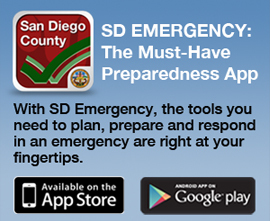 San Diego County Probation Officer Michael Keeley, who has participated in the event for 9 years, said he looks forward to the event all year long. 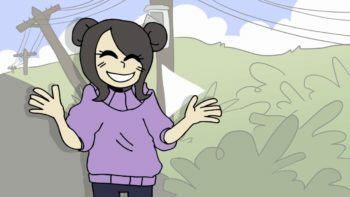 He hosts a sports tournament during the year to help raise money for the event. This year, he added a second tournament and raised about $11,000. He received an honorary plaque for his contribution to the event, but for him it is all about making children happy. 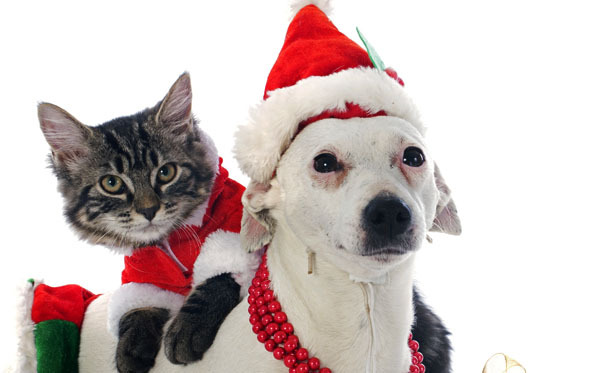 This year he and another officer partnered with a little girl. 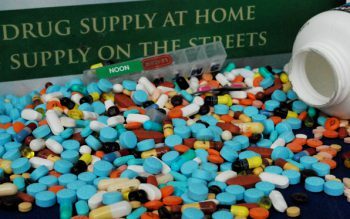 Probation officers show off this lucky little girl’s haul. 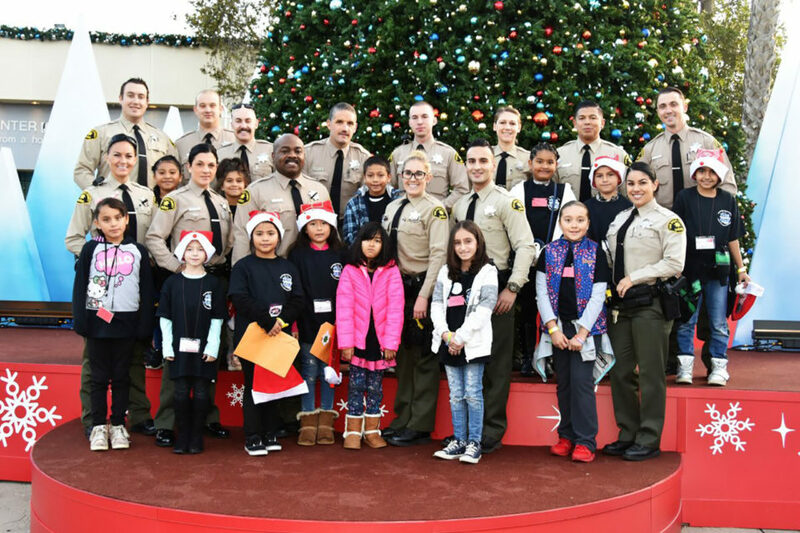 Deputies posed with their Shop With a Cop partners at the holiday event.